Margaret King School was built in 1928-29. Students began attending classes in the new, all brick building in January of 1930; later, on July 1, it was officially opened. It was a magnificent school, well equipped and able to provide enhanced educational opportunities for students of rural Pugwash Junction. The school was also open to high-school students from nearby communities: Pugwash River, Conns Mills, Hartford, Middleborough, Wallace Bay, Wallace River, Malagash and Wallace. Compared to the one-roomed rural schools that students were accustomed to attending at that time, The Margaret King School was like going to school in a mansion. Two large classrooms dominated the structure. Each had cathedral ceilings supported by large, crossed beams. Along the north wall of each classroom were large, sliding oak doors that would fold to open into an adjoining room. The wing off the elementary classroom opened to a well stocked library, complete with oak tables, glassed-in bookcases and a fireplace. A fully equipped science lab opened off the high school room. A large central hallway gave access to and from the school. The main entrance led in from the outside portico, with its six, tall, white supporting pillars. The opposite side of the hallway opened to the well equipped playground behind the school. The hallway also led to each of the four rooms described above, as well as to two cloakrooms, four washrooms for students and teachers and upstairs to a central teachers’ room. The latter conveniently had views overlooking the two classrooms below and the large playground area outside. Beneath the main floor area were rooms equipped for teaching Domestic Science and Manual Training, also a room for indoor physical activity and a shower room. A pump room provided running water from a drilled well for flush toilets, wash basins, and drinking fountains (a luxury not found in most rural schools and homes of that time). There was even a comfortable area for a janitor in the coal-fired furnace and boiler room. An impressive cupola adorned the very top of the building. An inside electric light would shine from its windows, as an invitation for the community to attend, when special events would be taking place. The Margaret King School was an extraordinary contribution toward educating the young people of Pugwash Junction and its surrounding communities. It was a gift provided by the late Cyrus Eaton (1883-1979). A former resident of the community, Cyrus Eaton, received his early education at an earlier Pugwash Junction School, a one room school located nearby. 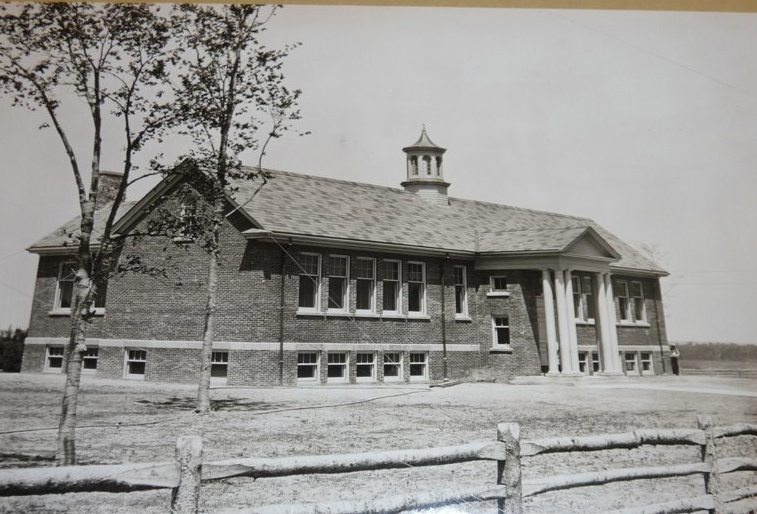 The opening of the new school in 1930 brought an end to the one-roomed school facilities where many of Pugwash Junction’s citizens had received their early education. The school was named after Cyrus Eaton’s teacher, Miss Margaret L. King. She was a special guest of honour at the 1930 opening. The opening photo (linked here) shows the former site of the Margaret King School in Pugwash Junction, Nova Scotia, as it looked in August 2011. In the 1960s, the amalgamation of schools within Pugwash District expanded to include all students from Pugwash Junction. Regrettably this change resulted in the closure of the Margaret King as a community school. Much of its furnishings and equipment went to other schools, for example, the new Nova Scotia Teachers Collage in Truro. In the 5 years that followed, under the care of the provincial government of the day, it was left empty and more or less abandoned. Without heat and being openly vandalized, it reached a state of serious deterioration. It could no longer be used as a public building and was eventually liquidated by the N.S. Department of Education, after which it served as a storage building for a local farm.